Advances in reproductive technology provide Nevada residents with new possibilities when it comes to conceiving a child. Many women are freezing their eggs for use in the future, and this brings up a unique challenge in estate planning. 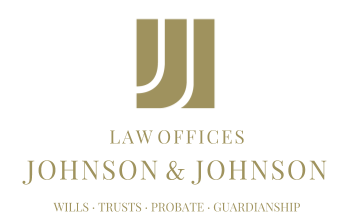 The question of how and whether to include any descendants that may result from the use of frozen eggs is not one that automatically comes to mind when creating an estate plan. Discussing what will happen after an individual’s death can sometimes be an awkward enough conversation, but now, it may be wise to delve into a significantly personal aspect of one’s life. However, it is necessary if he or she wants to include descendants derived from frozen eggs. If the possibility exists that a daughter or granddaughter will entertain this idea in the future, a person’s will and/or trust needs to address the issue. The more specific the language of these documents, the better the chance that a descendant born from a frozen egg will inherit. On the other hand, it may also be necessary to exclude progeny from them as well. Some women donate their eggs to other people who are unable to conceive. An individual may not intend for a child born from a donated egg to inherit anything from his or her estate. Technological advances are forcing Nevada residents to expand and/or change the definition of an heir. The issue can quickly become complicated if not properly handled. Therefore, it may be beneficial to involve someone familiar with the construction of estate planning documents in order to eliminate — or at least limit — any confusion.